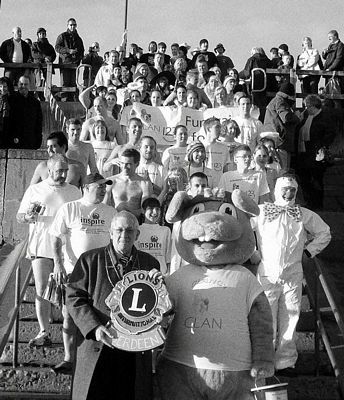 The Boxing Day Swim Aberdeen is a fun fundraising event which is organised by the Aberdeen Lions Club and is known as the Nippy Dipper. 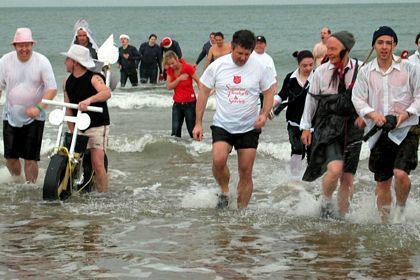 The chilly North Sea water is a great way to clear the Christmas indulgences and a fantastic way to raise funds through sponsorship for your charity. 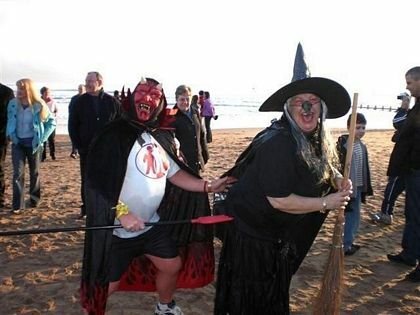 Many of the Nippy Dippers enter the freezing water of the North Sea in fancy dress to add more fun and colour to the event. 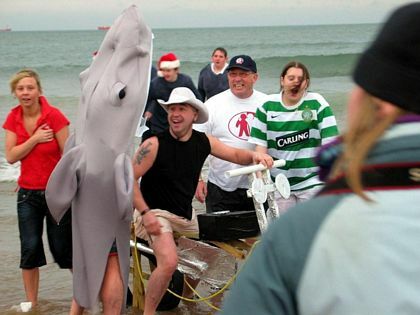 Details of the 2018 Boxing Day swim Aberdeen will be uploaded soon.  It usually takes place at the Leisure Centre Beach Promenade from 10:30am on the 26 December. 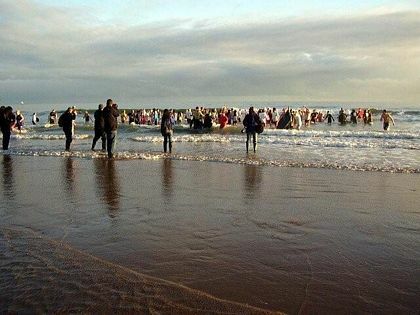 About 200 swimmers take part in this fun nippy dip raising over £10,000 for local charities. They are usually led by an Aberdonian celebrity and in the past this has included Commonwealth Games swimming champion David Carry, his girlfriend Keri Anne Payne, his father the jeweller Peter Carry and sister Malena. Fancy dress costumes on this 26 December event included Wonder Woman, bride in white dress and bouquet, lots of people wearing Santa hats, black suits, a family of Smurfs, Superman and a Borat look alike in a skimpy mankini.